Embroider up to 850SPM Stitches Per Minute, On Screen Editing can combine designs, lettering, layout, size, rotation, and mirror imaging. Box Feed for Traction, Drop Feed for Free Motion, Knee Lift Lever to Raise and Lower Presser Foot, My Custom Stitch Creation of Your Own Stitches up to 7mm Wide, Auto Stop and Lock Stitch at Pattern End. Manufactured with elegance in mind, this machine reflects a sleek design which makes for a great addition to your sewing room table. 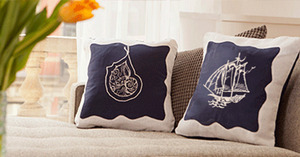 This completely new design boasts a 5” x 7” embroidery area with embroidery speeds up to 650 spm. 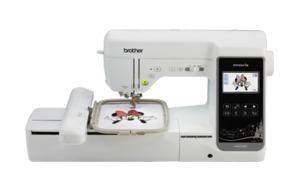 Other noteworthy features include the color screen, automatic thread tension, thread cutter, USB port, side sewing, on screen editing of designs and lettering, and so much more. Wide Extension Work Table for Quilting. 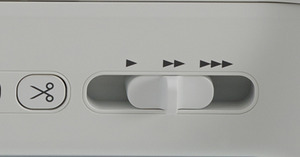 Built In Designs plus 35 Disney Characters and ability to import designs through USB key port on machine. 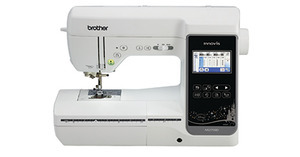 I haven't had this machine very long but find it to be very user friendly with good stitch quality. I am curious why all the online documentation says it does not have My Custom Stitch, but it does have the feature. It is on the machine, in the user manual, and on the overview video I just watched?????? I look forward to learning more about this very nice machine.